In 1966 – before The Beatles abandoned the stage for good with a show at Candlestick Park, in San Francisco, and where Paul McCartney would recently play before the former baseball park itself passed into history – the new studio music they released that summer brought the group full circle to their first session at EMI in 1962. As if to commemorate the concept of completing a circle, the record was called Revolver. Recorded from April through June 1966, Revolver was a rich panorama of musical and philosophical styles, a masterpiece of eclecticism. George Harrison's interest in Indian music and religion came full bloom. The fruit of McCartney's venture into the world of avant-garde theatre, visual art and music fully emerged. John Lennon's fascination with Eastern thoughts about mortality, brought on through chemical enhancement, reached its apex. Ringo Starr even decided to redefine the sound of his drums to provide yet more personality to the music. Producer George Martin knew the group was looking for ways to get more colour into their music, too, so he needed to discover the means to translate their musical ideas by using instruments they hadn't tapped before (like the saxophones on Revolver's Motown-flavoured "I've Got to Get You into My Life" and the tape manipulations used on "Tomorrow Never Knows"). To achieve this end, Martin promoted Geoff Emerick, one of his assistants, to the role of engineer. "The group encouraged us to break the rules," Emerick recalled of his first session as engineer in his book, Here, There and Everywhere. 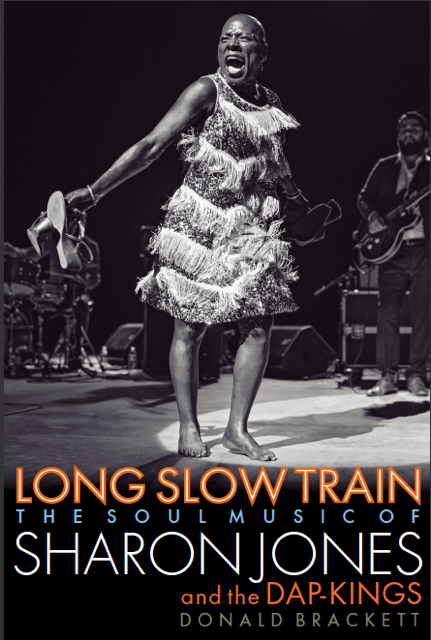 "[They told me] that every instrument should sound unlike itself: a piano shouldn't sound like a piano, a guitar shouldn't sound like a guitar, hence putting things thru a Leslie speaker, and so on." Norman Smith, Martin's usual collaborator, had moved on to be a producer himself, beginning with Pink Floyd's debut record, The Piper at the Gate of Dawn, a year later – an album that would owe something to the innovations used on Revolver. While indicating the stronger influence that drugs had on Revolver, critic Walter Everett saw the record as "[r]eflective of their reading of Timothy Leary, their own experiences with LSD, and an exploration of Hindustani music and philosophy, Revolver was fundamentally unlike any rock album that had preceded it." Their previous album Rubber Soul might have been their pot album, but Revolver was most certainly their acid record. After reaching new emotional depths on Rubber Soul, the group sought now to explore the very source of those depths, examining the cycle of life, and the many sides of issues like loneliness and death ("Eleanor Rigby"), re-birth ("She Said, She Said," "Tomorrow Never Knows"), retribution ("Taxman"), childhood adventures ("Yellow Submarine"), romantic desolation ("For No One") and the fragility of sexual union ("Love You To"). If Rubber Soul peered into the value of experience, Revolver set out to define what new experiences were now before them. But this amazing record also harboured an irresolvable contradiction. While it would be their most exciting and versatile recording, showing a stunning resource for creating unity out of diversity, Revolver also illustrated how The Beatles, as a utopian entity, were coming to an end. The album opened with the same 1-2-3-4 count-in that set off "I Saw Her Standing There" on their debut LP, Please Please Me, except this time, it's not the combustible sound of a brash young band about to get people jumping onto the dance floor. Instead, we hear, under the count-in, the synthetic atmosphere of the recording studio. Revolver opens with the background sound of recording tape revolving. The count-in on the Please Please Me album had signalled a charge let loose into the world; but on Revolver, it's a deliberately dispassionate and mechanical intro indicating a withdrawal from the world they once sought to conquer. We're now alerted to the new age of Beatles music: from the live stage to the magical illusion of the studio. "Taxman" features the first Harrison track to lead off a Beatles record. 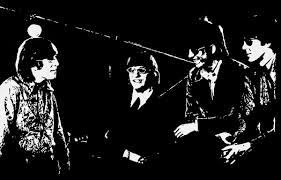 With a melody that suggests Neil Hefti's theme to the 1966 TV series Batman, he launches a dour attack on the government's taxation of the group, which now found itself in a higher tax bracket due to the reality of their success. Within the ribald glee of "I Saw Her Standing There," The Beatles opened their career with the possibility that success would give them ultimate freedom and wealth. But, in 1966, "Taxman" delivers them into perceived poverty, an assumed indigence they thought their career would help them overcome. The irony for Harrison, a millionaire who would eschew the material world for years to come, is hearing him complaining about material matters. The Beatles' idealistic daydream, a state of mind free of conventional trappings, couldn't change the trappings of the world that Harrison vainly rails against. "Taxman" tells us that the Beatles aren't idealistic kids anymore. "Eleanor Rigby," which The Beatles released as a single, was an exquisite chamber work about inconsolable loneliness and bereavement. Written by McCartney, while he was living in London, the song began as a story of Miss Daisy Hawkins, a young girl, picking up rice in a church after a wedding. But realizing that the woman should be older, a woman whose opportunity to marry had passed her by, McCartney came upon the idea that this lonely woman would be able to perceive the loneliness in the people who surrounded her. After the success of the string section in "Yesterday," McCartney turned to George Martin for another chamber arrangement for "Eleanor Rigby." Paul was thinking of something in the flavour of Vivaldi, as he had recently discovered the legendary Venician violinist through his girlfriend Jane Asher. Martin, on the other hand, was considering something in the style of the staccato rhythms heard in Bernard Herrmann's score for Francois Truffaut's 1966 film, Fahrenheit 451. The result is something in between. (Devin McKinney rightly points out in his Beatles book, Magic Circles, originally the title for Revolver, that the intensity of the strings actually comes closer to Herrmann's earlier score for Alfred Hitchcock's Psycho.). As in Psycho, the musicians' bows strike the strings like knife thrusts, created a powerful sense of anguish in the tragedy of this story. On Revolver, we can discern off the top that the concept of community that The Beatles once spoke to in their music was now becoming fractured. In "Taxman," it became clear that the government didn't speak for its people, or even represent the organizing principle of a society anymore. It isolated and indifferently taxed people instead. Throughout "Eleanor Rigby," we're confronted with unbearable isolation. Eleanor Rigby picks up rice in a church for a wedding she'll never get to experience for herself. Father McKenzie writes sermons he knows that no one will ever hear. When Eleanor Rigby dies, no one bothers to come to her funeral. Father McKenzie, when he walks from his grave, knows that no one will be saved. 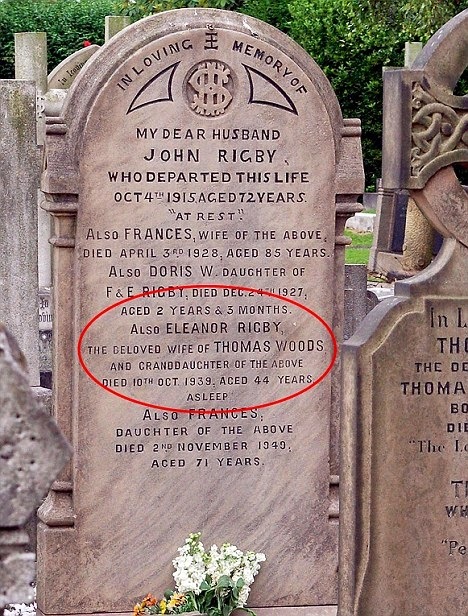 It is perhaps somewhat serendipitous that, during the Eighties, someone actually discovered a gravestone bearing the name of Eleanor Rigby. She died in October 1939, almost exactly a year before Lennon was born, in the churchyard of St. Peter's, Woolton. To add to the coincidence, a mere few yards to the right, is a grave for John McKenzie. The grave is mere yards from where Lennon and McCartney first met at the summer fete in 1957. 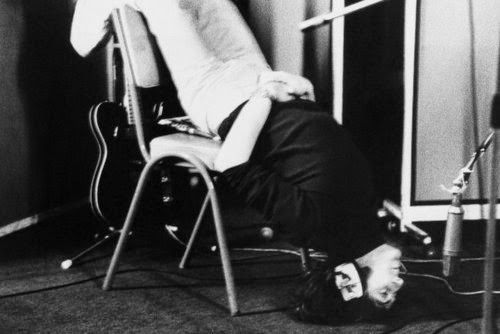 John Lennon's "I'm Only Sleeping" also shows signs of the splintering of The Beatles' vision. In the song, Lennon envisions a dreamy retreat from the world. 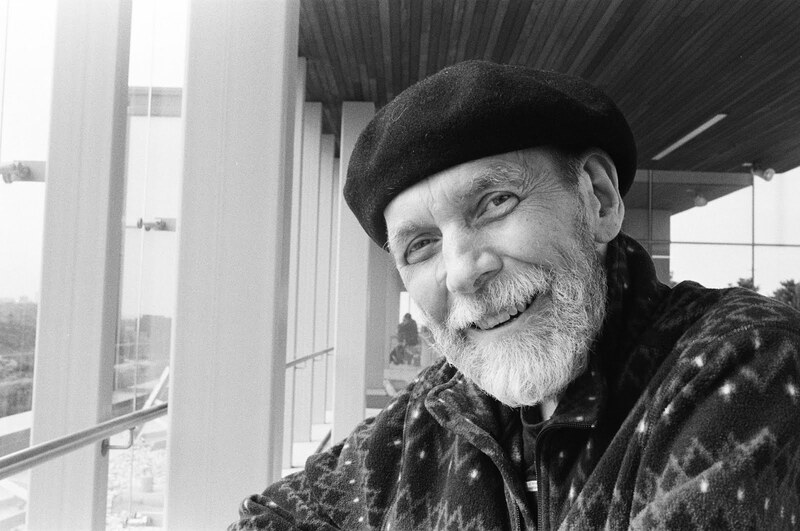 Where "There's a Place" took us to the boundless world of the imagination, providing a skeleton key to the real world in front of us; "I'm Only Sleeping" has more in common with the hermetic beauty of The Beach Boys' "In My Room," where one seeks not to connect with the real world, or the people in it. More than anything else, "I'm Only Sleeping" begins the steady withdrawal of John Lennon from the spirit of community offered by being a Beatle. His retreat would become more explicitly stated by "I'm So Tired" in 1968, and then ultimately concluded, long after the Beatles' demise, with "Watching the Wheels," on his final 1980 album, Double Fantasy. Since Lennon grew more content to retreat from the world, McCartney began his ascent towards leading the band, both in their songs and towards a whole new direction. 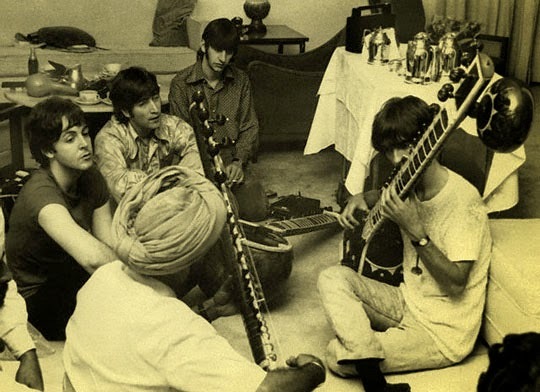 Where "Norwegian Wood (This Bird Has Flown)" introduced Beatle fans to the sitar, "Love You To" is the first piece of Indian music composed by George Harrison. Since Revolver takes into account the cycle of life, Harrison's relationship to Indian music began before birth. Apparently when his mother was pregnant, she used to listen to Radio India on Sunday mornings. George's sister Louise suggested that he might have actually heard the sitar before he got out of the womb. "Love You To," a Hindustani song whose title does a reversal on "Love to You," has no connecting relationship to the familiar Beatles sound. It doesn't even feature the other Beatles, only a number of fine Indian instrumentalists, such as Anil Bhagwat on the tabla. When the sonorous, cautionary notes of the sitar open the song, it creates a foreboding sonic dreamscape wherein the quest for perfect love brings with it a profound awareness of mortality, or what Devin McKinney also calls "snide sounds from a nowhere that is alive with secrets." Within those secrets of "Love You To" is the emerging personality of George Harrison, who is no longer the quiet unassuming Beatle, but now becoming his own musical force. If McCartney makes you feel the sting of loneliness on "Eleanor Rigby"; and Lennon, expresses the need to separate in "I'm Only Sleeping," Harrison seeks to replace the waning communal spirit of The Beatles with a higher spiritual purpose. "[Harrison became a] modern day Siddhartha who, lured by the sound of an exotic instrument, climbed the rock palace walls...with little precedent to follow, popularized the concept of rock song as popular conversation with God," wrote musician Ashley Kahn in a Mojo magazine appreciation of Harrison after his death. "[He was a] frustrated gardener who never fully mastered – yet never stopped reaching for – the perfect balance of superstardom, spiritual apprenticeship and rural repose." Harrison's dramatic use of the Indian modal in "Love You To" would have a profound influence on other pop music to come like The Rolling Stones' "Street Fighting Man" and Donovan's "Hurdy Gurdy Man." "Here, There and Everywhere" represents one of McCartney's most satisfying love ballads. 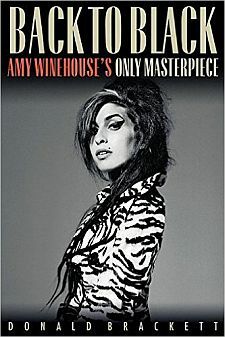 It portrays a happier portrait of his relationship with Jane Asher than many of his earlier songs. Written in June 1966, while visiting Lennon, McCartney ended up composing it alone at the side of Lennon's outdoor pool when his writing partner didn't want to get out of bed. Paul had intended it as a tribute to the standards of Tin Pan Alley – for example, delaying the word "everywhere," just as Cole Porter had done to the word "heaven" in "Cheek to Cheek." Having also been duly influenced by The Beach Boys' Pet Sounds, and in particular, the romantically ethereal "God Only Knows," McCartney composed a love song that is an equally glistening beauty. 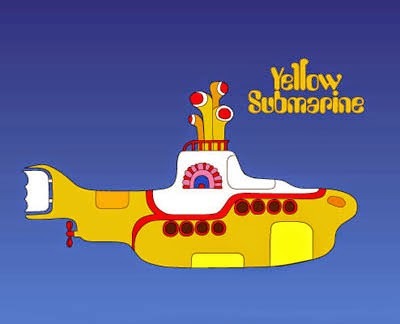 Although "Yellow Submarine" was conceived as the group's standard platform for Ringo, it is likely the catchiest, most comically imaginative song he ever sang. McCartney composed it while in that semi-dream state before sleep. He was imagining a story about a kid who hears stories concerning a land of submarines from an old sailor, and then the boy desires to sail there to see that magical world for himself. Conceived as a simple children's sing along song, it initially had a spoken introduction by Ringo that was ultimately dropped. "Yellow Submarine" begins as a simple sea shanty. But it soon turns into a full-scale comedy production featuring various sound effects produced by items like cash registers, chains, bar glasses, tap dancing mats, hand bells and wind machines. Marianne Faithful, Pattie Harrison and The Stones' Brian Jones picked their choice of instrument and rattled away. With George Martin at the controls, he orchestrated the song in the same manner he handled some of his early comedy recordings of the Goons. But the comic middle section, where we hear the inhabitants of the submarine, isn't just a nod to the Goons, it incorporates the spirit of a number of early schmaltzy songs like "I'm a Pink Toothbrush, You're a Blue Toothbrush" and "The Railroad Runs Through the Middle of the House," comedy tunes that Harrison had listened to growing up. From the gaiety of "Yellow Submarine," we shift abruptly into the heavy-metal luster of John Lennon's "She Said, She Said." The song was developed out of an incident that took place in Los Angeles, in August 1965, at a rented house during their American tour. One night, they threw a party celebrating Jane Fonda's new movie, the western parody Cat Ballou, inviting her actor brother Peter Fonda, Roger McGuinn and David Crosby from The Byrds, plus Don Short, the Daily Mirror entertainment correspondent. Most of the guests were dropping acid, with John and George taking it intentionally for the first time after being slipped the drug by the dentist earlier that year. It was also the first time that Ringo would try it. As Harrison was describing his LSD experience, speaking as though he were dying, Peter Fonda started assuring Harrison that there was no need to fear death. 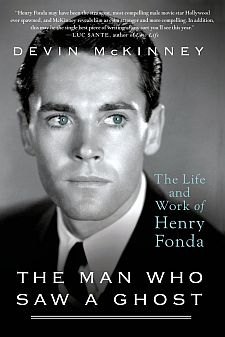 Apparently, Fonda had almost died himself from an accidental gunshot wound when he was a child. While also tripping, Lennon became unnerved by this casual talk of death, fearing that Fonda's flippant remark might set him off on a bad acid experience. Lennon immediately told Fonda to leave, telling him that he was making him feel like he'd never been born. If one is never born, then how can one die? The awareness of that question, the cycle of life and death, became central to Lennon's LSD experience. It also came to signify the revolver of the album title. Thoughts of death had sent Lennon back to his troubled youth, recalling feelings of never being born. But to affirm that he does exist, the singer must cling to the simple adolescent perspective of seeing the world as eternally good ("When I was a boy/everything was right"). But that naive world-view was now ruptured by the LSD experience, which brought about for Lennon an innate awareness of mortality. In the song, Lennon is reminded that death is an inevitable part of a revolving circle. 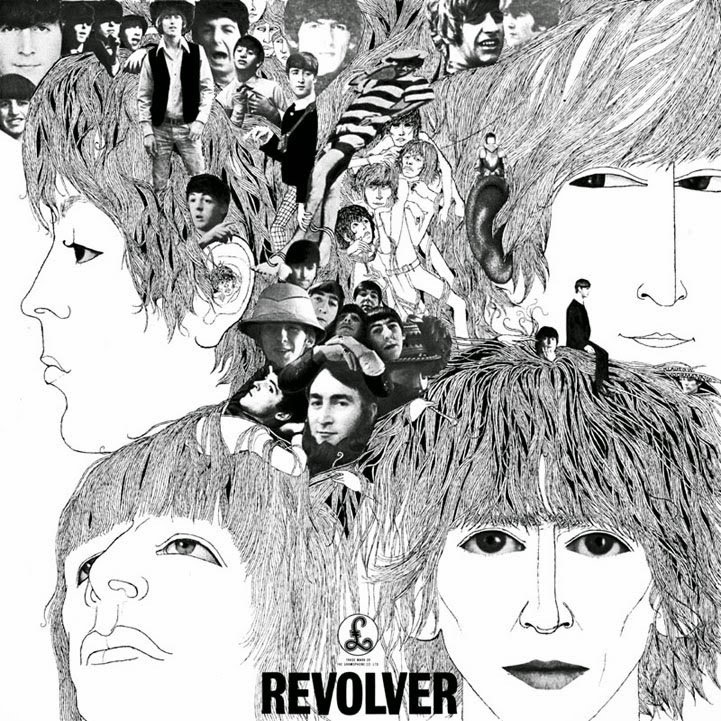 In time, that revolving circle could take the form of another revolver, a weapon that would ultimately end Lennon's own life, when an assassin used one to kill him. Yet the song's ironies don't end there. In the 1969 movie Easy Rider, Peter Fonda would play Captain America, a mythic hero travelling the American landscape looking for the American Dream. After an LSD experience leaves him mourning the death of his mother, Captain America finds his own death at the end of a shotgun fired by a redneck. Out of the dark discourse of "She Said, She Said" comes Paul McCartney's bright optimism of "Good Day Sunshine." While owing no small debt to the Lovin' Spoonful's cheerful "Daydream," the tune was also a hybrid of the Supremes' "Where Did Our Love Go?" and "Baby Love." There's such an unaffected sunny quality to the song that it would in turn influence the seventies rock band Chicago, who would create their own variation on McCartney's theme with "Wake Up Sunshine" on their second album. John Lennon described "And Your Bird Can Sing" as nothing special, but (besides its incandescent charm) the song candidly addresses Lennon's belief that one can have everything, your bird can even sing, but it won't guarantee you knowledge of the self, or of others. McCartney's "For No One" is a startlingly evocative song about desolation. 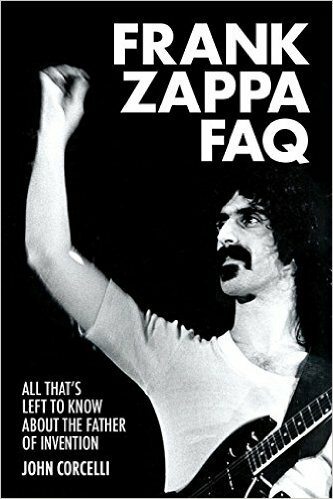 When Paul wrote it on a Swiss skiing vacation in March 1966, the original title was the lugubrious "Why Did it Die?" Once again, we get a cyclical song, this time about the life and death of a romance. While technically "For No One" isn't a country song, it has a stark sadness that is sometimes integral to country music. Country artist Emmylou Harris likely considered that when she covered the song on her 1975 Pieces of the Sky album. "[I]t has that real deep country sadness," Harris once remarked in a Mojo interview. "[T]he song is being written from a really interesting perspective: it's being written for [the singer] but it's so sympathetic towards her. 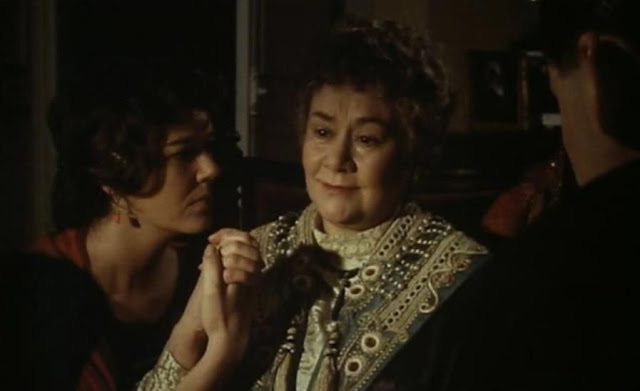 It moves between two voices until you feel that it's being sung as a third voice: 'There will be a time when all the things she said will fill your head.' How can a 23-year-old man have gone so deep?" "Dr. Robert" is a straight ahead rocker written by Lennon that's based on Dr. Robert Freymann, a New York physician of German descent who provided a variety of drugs to the city's art scene – including Charlie Parker, whose death certificate he ultimately signed. 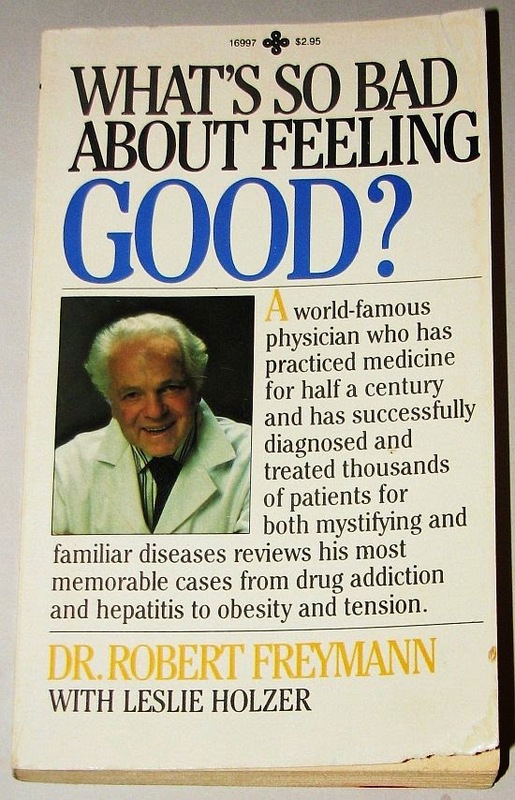 Freymann lost his license for six months in 1968 and was ultimately expelled for malpractice in 1975. He later died in 1987. 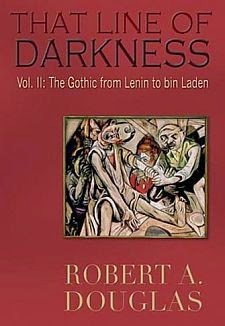 "Dr. Robert," which endorses chemical enhancement to provide altered states of higher consciousness, has some melodic resemblance to "Ticket to Ride." Harrison's "I Want to Tell You" is a song about how our attempts to utter the simple truth are ruptured when our conscious thoughts interfere. He suggests, in a less ostentatious manner than he would a year later on "Within You Without You," that a higher consciousness in the mind leads to a truth that can't be spoken so clearly. "Got to Get You Into My Life" is a brassy tribute to Motown R&B. It's also the first Beatles song to feature a brass section. Scored for three saxophones and two trumpets, it began life simply as an acoustic song. Over the eight takes, though, McCartney's ode to his love of pot got turned into a classic soul arrangement. John Lennon's radically innovative "Tomorrow Never Knows," the final track on Revolver, would certainly be considered an example of trying something else. It was the most drastic departure from anything The Beatles ever attempted. What led to the innovations that created this song had everything to do with the transformation of both McCartney and Lennon prior to Revolver. 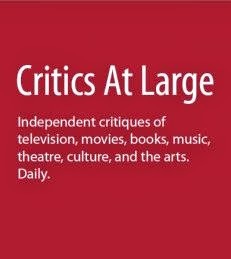 While success had turned the other Beatles towards domesticity in their middle-class comfort, McCartney restlessly turned his attention towards the larger cultural world. There was no question that Jane Asher had played a huge role in opening those doors for him. 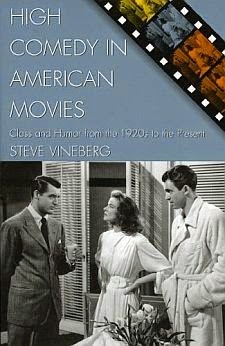 For one thing, he lived in her parents' house, a very cultured home, with her mother being a stage director and music teacher, while her father was a psychiatrist. Jane's brother Peter was, of course, also a musician in Peter & Gordon, for whom Paul had written a number of songs. Therefore, in McCartney's room, there were drawings from Jean Cocteau's Opium series, a volume of dramatist Alfred Jarry's work (whose term 'pataphysics' would make its way later into McCartney's "Maxwell's Silver Hammer"). Basically, the Ashers had made McCartney aware of a world larger than pop. He imbibed in all aspects of the art world – from the avant-garde to mainstream – which would ultimately help take The Beatles from the pop rock of A Hard Day's Night to the imagined art-rock of Sgt. Pepper's Lonely Hearts Club Band. While McCartney both fed and enlarged his ego, Lennon set out to annihilate his through LSD. The concept of destroying the ego had come to him in a vision he had during one of his first acid trips. In the early winter of 1966, he went to Barry Miles' Indica Bookshop to seek out Timothy Leary's The Psychedelic Experience (1964), which was Leary's reinterpretation of The Tibetan Book of the Dead. In the book, Leary had written of spending seven months in the Himalayas with Lama Govinda studying Tibetan Buddhism. During that time, Leary was told about the death of the ego, as opposed to the death of the body. 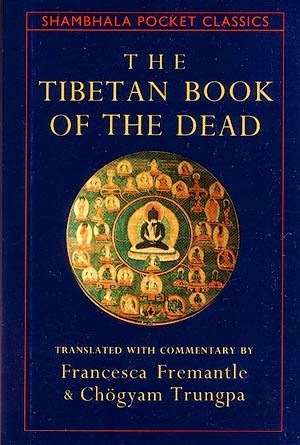 The Tibetan Book of the Dead was to be spoken to a dying person to help them through the various stages of death. But for Leary, it could also be spoken to those on acid fearing the death of their ego. Lennon's original title of "Tomorrow Never Knows" was "The Void," citing Leary's comment about the void being "beyond the restless flowing electricity of Life." 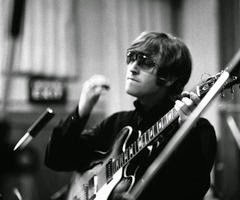 Lennon's words were written before any idea of the tune and since the words were unlike any other Beatles song, The Beatles wanted this music to be as powerful as Lennon's lyrics. In the first few hours of recording on April 6, 1966, what begun as "Mark 1" soon became "Tomorrow Never Knows." The song's melody was arranged as a liturgical Eastern religious chant. Since Lennon was using acid to strip away his ego, he also stripped away the song's very structure, thus providing a drone. To give it more colour, McCartney came up with the idea of using tape loops – something he learned after he listened to Karlheinz Stockhausen's Gesang der Junglinge, which had fused both electronic notes and vocals into a form of musique-concrete. By sending a number of tape loops, of various phrases and whoops, revolving through a number of machines, they began layering the effects. Through this process, The Beatles had provided a saturation of random sounds. George Martin varied the speed on some of the loops, as well, to create an ever-evolving soundscape. The song begins with the same buzz saw drone that opened "I Feel Fine," except it isn't caused by feedback from a guitar amp. Harrison recreates the effect on the Indian tamboura, while Ringo lays down a steady 4/4 drum pattern. What sounds like seagulls swooping through the musical haze begin to coil through the song. This fragment is nothing more than a tape loop of McCartney laughing and was being manipulated throughout the mix. Overtop of this, Lennon wanted his tribute to The Tibetan Book of the Dead to sound like the Dalai Lama preaching from a mountaintop. Out of Lennon's garbled concept, Geoff Emerick came up with an idea. While the first half of the song has Lennon properly miked, after the break for the backwards guitar solo, Emerick dramatically altered the sound of John's voice by putting it through a rotating Leslie speaker from the electronic organ cabinet. Emerick desired to have Ringo's continuous drum roll, which itself played like a tape loop, to provide an imposing presence. John Lennon singing "Tomorrow Never Knows." "Tomorrow Never Knows" is one of The Beatles most dazzling and exotic compositions. It reinterprets their music while redefining the utopianism in their sound. The track neither makes concessions to any pop trend (since no such psychedelic trend yet existed), nor does it provide a protective cocoon for the singer to take refuge in (as does "I'm Only Sleeping"). 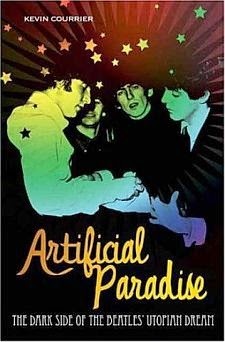 As with "There's a Place," Lennon again invites the participation of the listener to journey to the artificial paradise of the mind. But unlike the brighter utopian hopes cited in "There's a Place," "Tomorrow Never Knows" takes us into the void. But its realm was once brightly coloured and charged with enthusiasm in 1962. 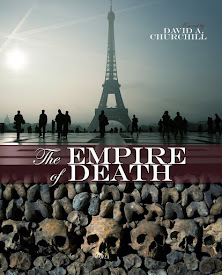 In "Tomorrow Never Knows" we become aware of a void brought on by death. The spirit isn't revitalized, it's set loose from the body, never to find substance, caught forever in a swirl of whooping birds and backwards guitar solos. Given the album's conceptual theme of life's cycles, they turned to someone from their very beginnings to provide the cover art. That year, Klaus Voorman had been wrapping up a tenure with his band, Paddy, Klaus and Gibson, in Germany, and about to join Manfred Mann, when he got a call from John Lennon to ask if he could provide an idea for the album cover. Although he hadn't done any drawings in a number of years, Voorman agreed and did a number of sketches until he settled on the one featuring the group with their familiar long hair surrounded by a collage of photos from various stages of their career. "I asked them to bring in their private pictures from when they were babies, or whatever," Voorman recalled. Since it was Voorman who first heard them in Hamburg, hiring him to do the cover was a significant connection to creating a concentric circle back to their origins. The presence of death at the conclusion of Revolver was significant. With this record came the end of The Beatles, at least, The Beatles as they were through the years of Beatlemania. The songs on this record didn't conform to an image of four mop-tops in matching suits, shaking their heads in unison, singing "yeah, yeah, yeah." The turbulent and violent 1966 tour had shown the group that love songs didn't teach the world to love. 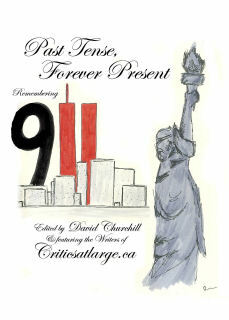 The world could still hate just as passionately as it could love. Their songs changed none of that. While this sober realization didn't stop them writing love songs, or creating love anthems (as they would with "All You Need is Love"), The Beatles no longer believed that the word love would ultimately set you free. In more ways than one, Revolver had indeed brought The Beatles full circle.